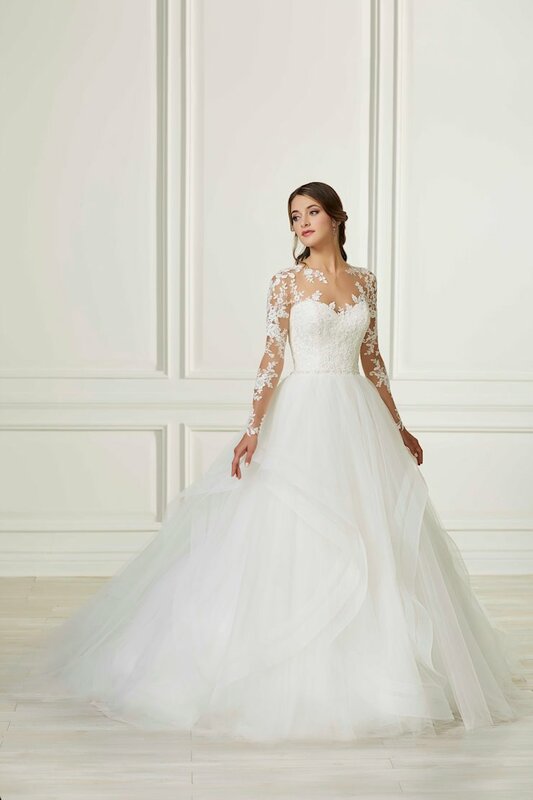 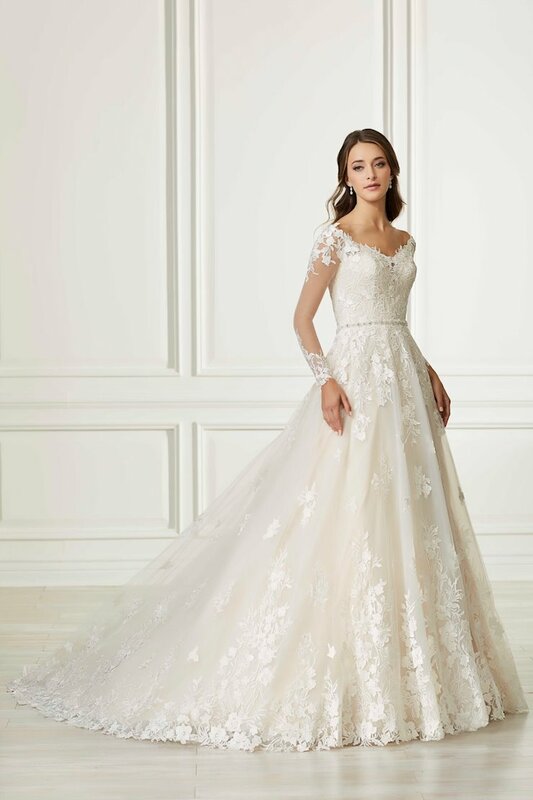 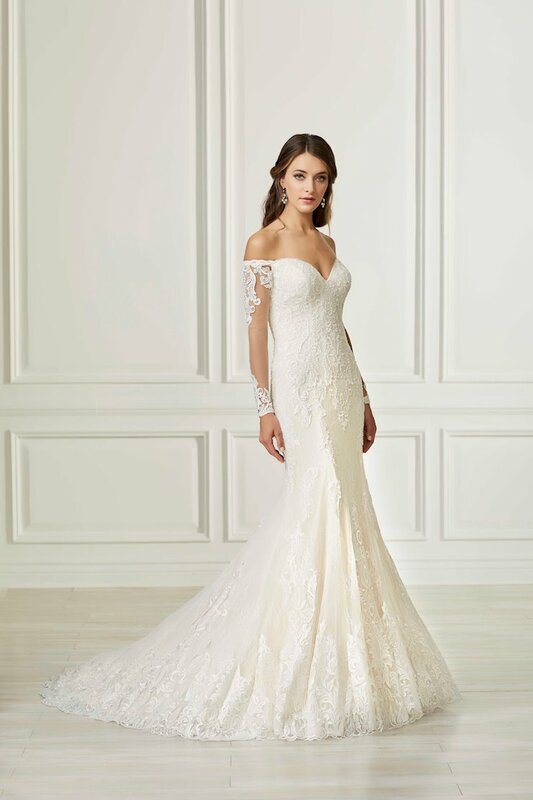 Beautiful lace appliques trail over a layer of tulle that veils a layer of all over lace. 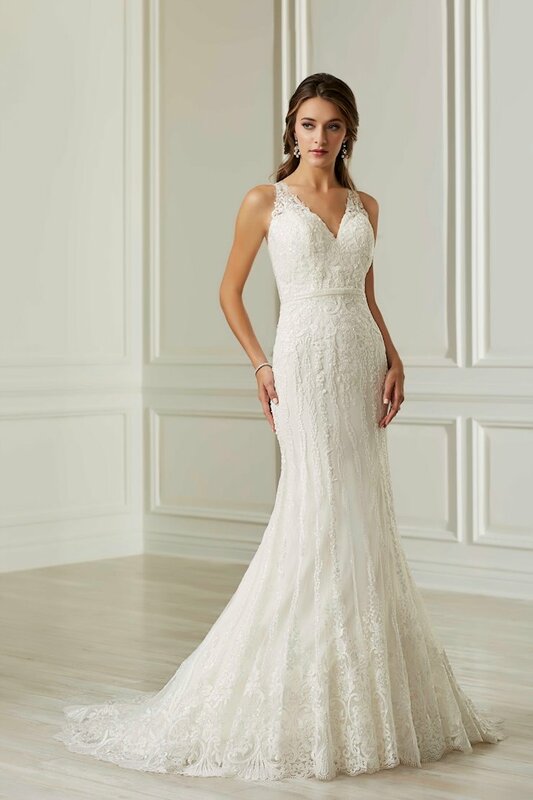 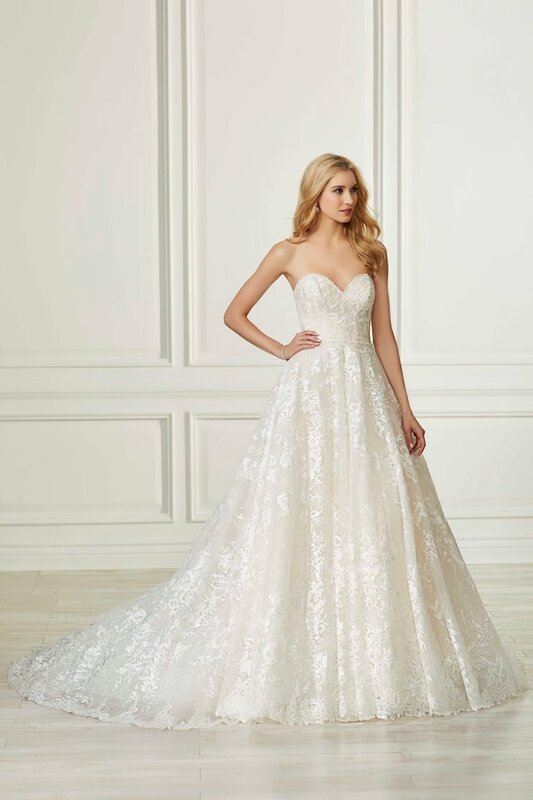 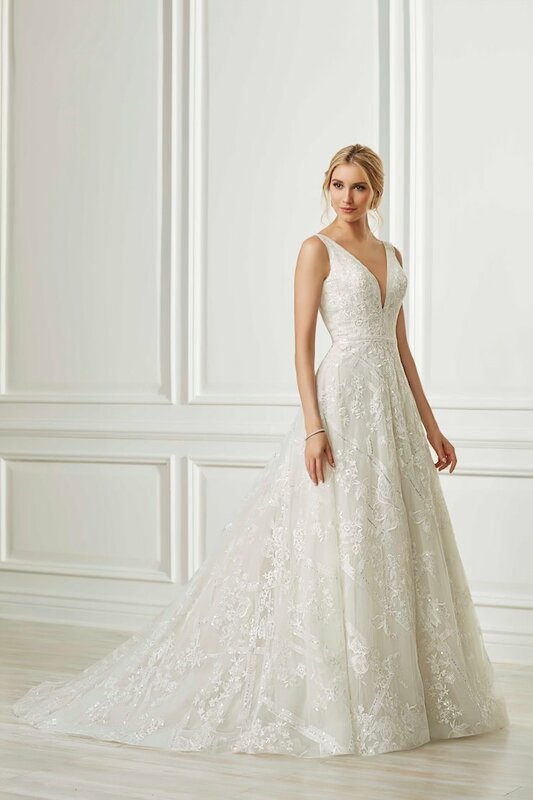 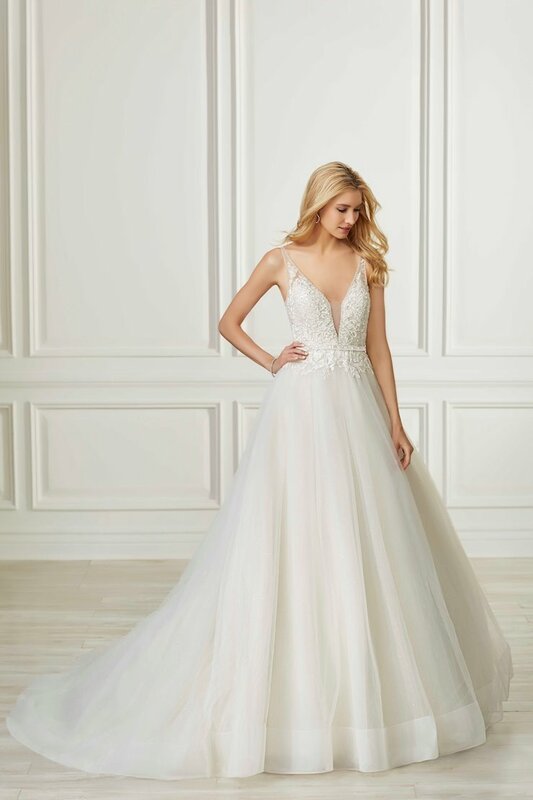 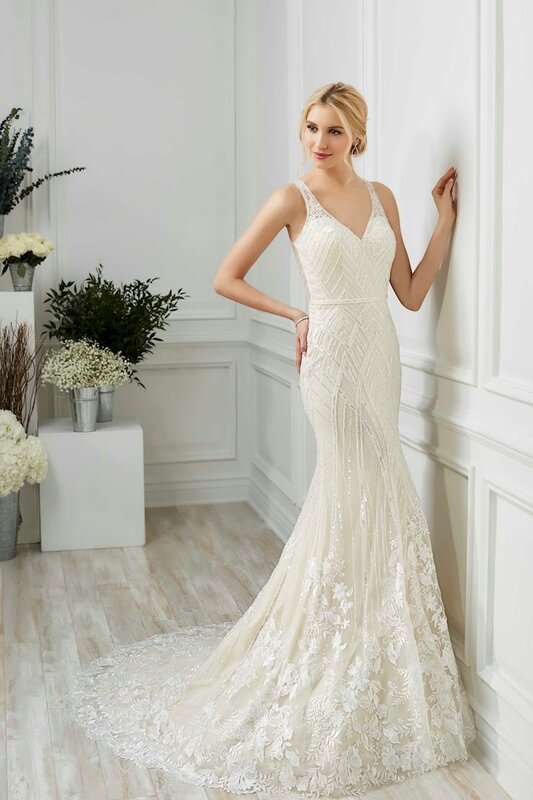 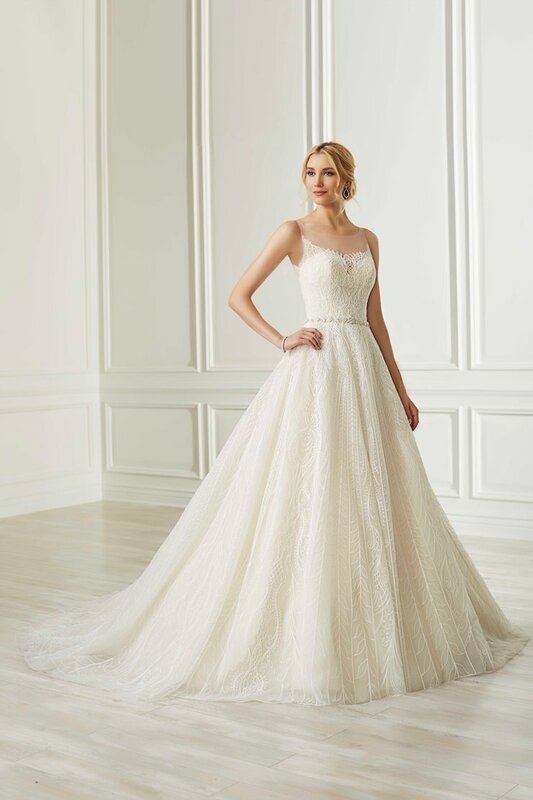 A front illusion neckline has lace placed at the shoulders while the back features an illusion keyhole. 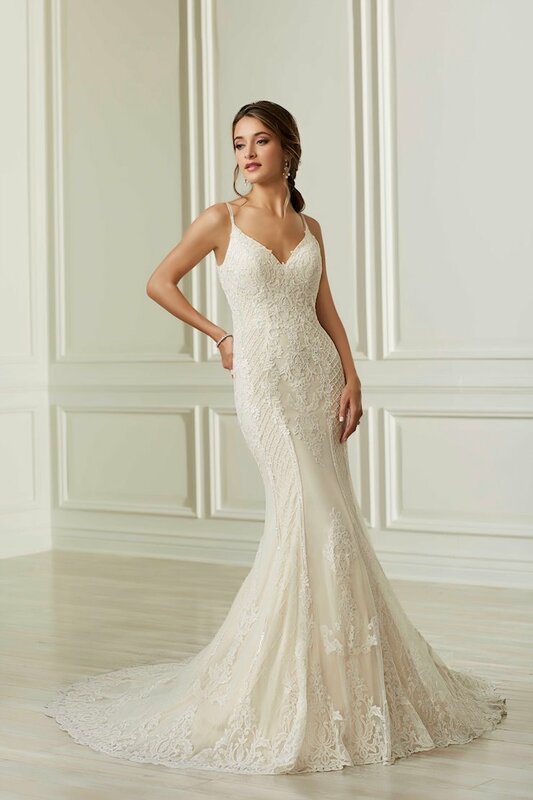 The hem of the gown is finished with a lace border.